Zika isn’t the only virus plaguing Latin America right now: Dengue has long been a scourge on tropical and subtropical nations around the globe. Fortunately, an early trial of a dengue vaccine—that saw volunteers intentionally exposed to the virus—showed the inoculation to be 100 percent effective, according to a study published Wednesday, and the results provide a possible roadmap for expediting the development of a Zika vaccine as well. Dengue—a mosquito-borne virus that comes in four different strains—is the most common mosquito-carried viral infection in the world, with more than 390 million cases each year. Though, like Zika, many dengue infections don’t produce any symptoms or only cause a mild fever, it can be sometimes be very severe, leading to internal bleeding, organ failure, and occasionally even death. Individuals who have already been infected with one strain of dengue and then become infected with a different strain are at the highest risk of these more severe reactions. On Wednesday, the results of an early trial for an all-strain dengue vaccine were published in Science Translational Medicine, showing 100 percent effectiveness against one of its four strains. To test out the vaccine, a team of disease researchers decided to do a human challenge model: a method where a group of volunteers are injected with either the vaccine or a placebo and then purposely infected with the virus to see if the vaccine works. It’s a somewhat controversial practice that requires very careful vigilance by the researchers. 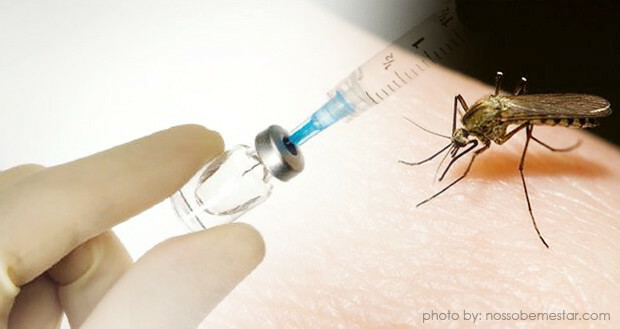 In this study, 48 volunteers who had never been infected with dengue participated in the first round, where half were given the vaccine and half were given a placebo injection through a blind procedure. These individuals were observed for six months to look for any side effects of the vaccine (there was one: a mild rash). Forty-one people continued with the study, and were all intentionally exposed to one strain of the dengue virus. The vaccine is designed to prevent against all four strains, but studies can only be done one strain at a time (and you wouldn’t become infected with all four strains simultaneously in real life), so the researchers chose the strain that has been most resistant to vaccines in the past. Not a single one of the vaccinated participants developed an infection by any measurement: virus circulating in the blood, rashes, or dips in white blood count. But the placebo group? All 20 of them had virus in their blood. There is currently another human challenge trial underway to test the vaccine against one of the other dengue strains—those results should be out this summer—as well as a widespread clinical trial. The clinical trial, which began at the end of February, will recruit about 17,000 people in areas where dengue is widespread, vaccinate them, and then observe the group over the course of one or two dengue seasons to measure the effectiveness. This is a much longer, more intensive, and expensive survey, but is an important step in confirming how well this vaccine works. Both dengue and Zika are mostly found in tropical and subtropical regions of Asia and the Americas, but as climate change contributes to warmer temperatures, the mosquito that transmits these viruses has been detected as far north as Washington, D.C. With increased travel and larger ranges for transmitting mosquitoes, the viruses are becoming a greater risk to a growing number of people, and effective vaccines are becoming all the more imperative. Had the vaccine not showed promising results in the first test, researchers probably wouldn’t go forward with the wider trial. Human challenge is a method that provides a relatively cost-effective and quick way of sifting through vaccine candidates to see which ones are worthwhile and which don’t look so strong. The researchers think a similar strategy could be used to test out Zika vaccines, which are currently under development.